God created a nation called Ya'jooj and Ma'jooj. In the beginning they were free. King Zulqarnian imprisoned up behind a wall. They are still imprisoned today, and will be freed near the Day of Judgement. They will come out and create a lot of trouble. Their population is ten times larger than the world's population. As we know King Zulqarnain travelled from East to West and North to South. When he was travelling the world, he imprisoned the Ya'jooj Ma'jooj behind a very thick wall. Zulqarnain went East, the people said to him, "In between these mountains, there is a nation called Ya'jooj Ma'jooj, who are like animals. Their teeth are like those of wild animals. When they come out they eat snakes, scorpions, horses, mules, donkeys, vegetables and wild animals. We will give you anything if you build a wall between the Ya'jooj Ma'jooj and us so that they won't harm us." Zulqarnain said, "I don't need paying, but what I would like is that you can help me by bringing me pieces of iron, wood and coal." When they brought these things, Zulqarnain started to build the wall. After this, he started to blow on it. When it became red-hot, he said, "Bring liquid copper." He put this liquid copper on the wall and made it very strong. Then he said, "They will come out from behind the wall, when Allah wants them to"
To this day the Ya'jooj Ma'jooj are trapped behind this wall. Everyday, they try to break this wall. When the sun sets, the wall is as thin as a sheet of paper. Their leader says, "Come on, let's go home now. Leave it, it is like a page. We will come tomorrow and break it down." When they come the next day, with God's will, the wall is as strong as before. Everyday, that is what they do, but when it is time for them to come out, then that day they will try to break that wall but in the evening, the wall will be as thin as a page. The leader will say, "Leave it for today and says the words Inshallah (if it is Allah wills) we will finish it tomorrow." When they come the next day, they will see that the wall is as thin as a page and then they will break the wall and come out. This will be the time when Hazrat Isa (alayhi salaam) will be ruling the world. 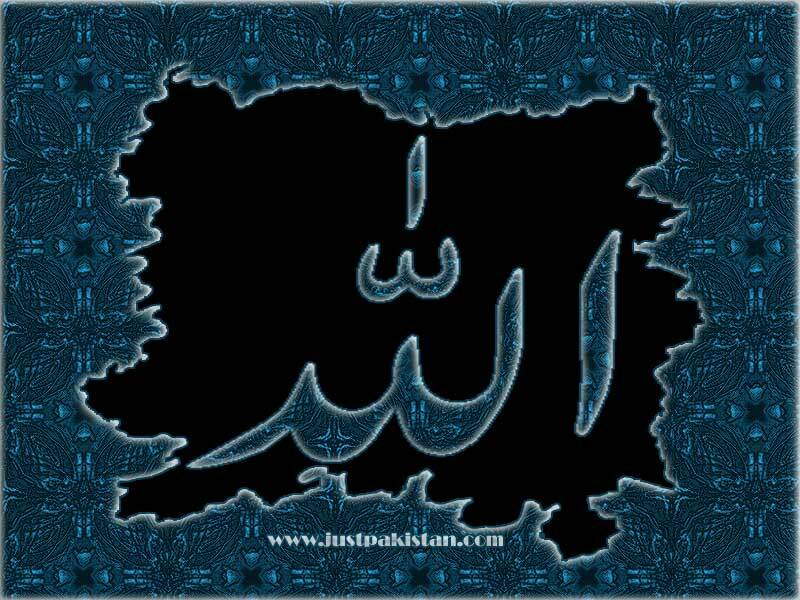 Allah will order Hazrat Isa (alayhi salaam) to take all his followers to the mountain of Tur. The Ya'jooj Ma'jooj will come and eat the people in the world. They will drink all the water from the East and all the water from Buhaira Tabria. Wherever there is water, they will drink all of it. If they find any humans they will eat them. People will be scared and will hide. When they don't see a person on earth they will say, "We have finished all the people on earth now we will fight the people in the sky." They will shoot arrows towards the sky. Allah will make their arrows red and send them back, and then they will be happy and say " That we have killed the people in the sky also". At that time, Prophet Isa (alayhi salaam) will be on the mountain. There will be a shortage of food. Prophet Isa (alayhi salaam) and the other Muslims will pray to Allah, "Oh Allah! Save us from them." Allah will listen to their prayers and create a spot on their necks. With that, they will all die. Then Prophet Isa (alayhi salaam) and the Muslims will come down from the mountain, they will see that all the ground is covered with bodies and a dirty smell will be spreading. They will pray to Allah, "Oh Allah! Save us from this dirty smell." Allah will send birds whose necks are like camels'. They will take all the bodies and throw them on mount Nimbar, this mountain is in Palestine. After this, Allah will send rain. With this, all the ground will be clean. Then Prophet Isa (alayhi salaam) with his people will stay on the ground and the shortage of food will finish. Allah will send blessings in everything. There will be so much blessing that one pomegranate will be enough for one tribe, and one pomegranate's peel will make one big tent enough for a group of people to stay under. In this way, one cow's milk will be enough for one tribe. All these blessings will come when all the Ya'jooj Ma'jooj are dead. Hazrat Isa (alayhi salaam) will stay in the world for forty years. He will get married and have children. After forty years, he will die and be buried in the Prophet Muhammad (sallallahu alayhi wa sallam) tomb. After Hazrat Isa, (alayhi salaam) there will be a king called JahJa. After him, there will be four or five kings, and then people will start to do bad things. That will be the time when the houses start to sink.